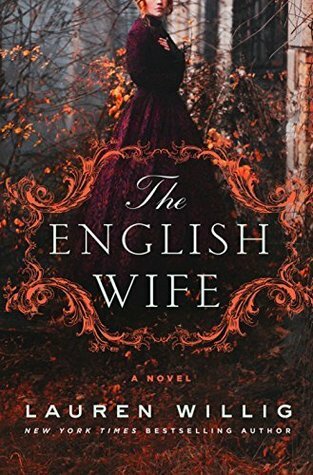 ** spoiler alert ** When I read the description of 'The English Wife' & saw it took place during the "Gilded Age," I wanted to read it right away. I don't know why I'm fascinated with that period in history?? Only the smallest percentage of people enjoyed a fantastic lifestyle of extreme luxury and everyone else just struggled to survive. Those people at the pinnacle had it totally made tho & lived lives beyond anything an ordinary person could imagine. Maybe that's the lure of it ~ it was so ostentatious it's like a fairy tale. I did really enjoy the book. The relationships were messy (as life is~ so very realistic) and haunted by secrets. The dual timeline was interesting because there was only a separation (at max) of a decade. I don't think I've ever read anything where the timelines were so close together & even overlapped? I liked the protagonists in both timelines a lot and despite their problems, I found Georgie & Bay's relationship especially endearing. It started a bit slow for me but once I got beyond the first few chapters, I was hooked and trying to figure out who the murderer was. It was a bit of a surprise, although once it was revealed there was a gigantic jewel left at the scene, I began to direct my suspicions toward one person....turned out I was wrong. I'd make a horrible detective! I thought originally it was Anne, because of the way the author made her out to be a miserable, disagreeable & basically difficult to like personality but there again, another twist. I want to hope that Georgie survived (probably a long shot) but that's left ambiguous. Quick read and well written. A gothic-style mystery (with a tiny romance) ~ if you like that kind of literature, this book is a treat. ** spoiler alert ** It's been a long time since I've immersed myself in the world of Greek mythology. That lapse in time almost made me forget what havoc the mighty and dramatic Olympians & Titans could create & impose on each other & the mortals 'du jour.' They seem to react out of boredom ~ primarily ~ or righteous indignation, but I guess with Infinity to live, the things we mortals find important would long ago have lost their luster?? I'd also forgotten how flawed they were (so flinging around all that power can be crazy destructive) but this book was a fabulous reminder! The Ancient Greeks had some intricate myths & stories and they're all phenomenally imaginative and chock full of lessons. I was a little nervous that reading something written in current times would mess up my recollection of those beloved Deities but turns out that was wasted energy. and maybe a crazy notion to start with?? 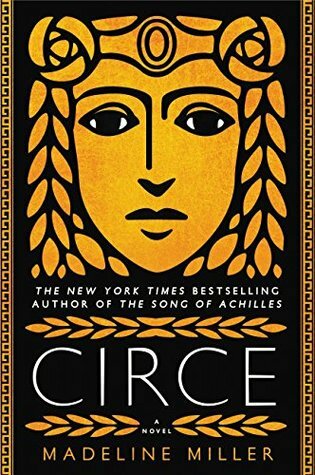 'Circe' is a refreshing, adventurous read ~ an enjoyable & highly relatable take on a lesser Titan Goddess. She's immortal but I love how vulnerable she was portrayed despite that status. The best thing that happened to her was being exiled to Aiaia. It got her away from the family hierarchy ~ where she was always at the bottom ~ and liberated her to explore her own particular powers. Those turned out to be quite spectacular and impressive ~ surprising even herself. Circe discovered so many things on that island ~ being banished was far from the punishment it was meant to be. One of my favorite parts of the book was the time she spent with Odysseus. Miller portrayed their relationship so vividly. 'Circe' understood him better than anyone (other than perhaps Penelope) & it made their time together more meaningful than I remembered it was in 'The Odyssey.' I was sad to see that section end tho I knew it must. A great takeaway for me came from the most unexpected place ~ when she dared to breach the depths of the ocean after the poisonous spear/tail of 'Trygon' and he told her to "create another world" if she didn't like the one she lived in. She found her way to doing that, not right away but the words didn't fall on air ~ at least she made it happen. I would like to take those words to heart in my own life. I've lost interest in the garden. The heat has been relentless ~ it started early and persists still. I feel as wilted as some of my plants on days I don't get out to water fast enough. A biennial ~ seed set two years ago for blooms this year. I think the dark purple/red flower umbels are spectacular. The leaves add great structure as well. Actually, everything about the plant is cool. Even how they bloom ~ a tightly clasped ball, emerging from the leaves (almost swan-like) before bursting open. They prefer moist soil (hard to come by this summer) and semi shade. If they don't get enough water, the umbels will droop ~ trust me ~ it's happened numerous times in the short period they've been flowering! Beloved by bees, another plus. These pictures were taken early, when the flowers first opened. Now they've been taken over by yellow jackets & the honeybees have moved on. I will let the seed set again this year but I wish I could figure out a stagger system so I have them every year? Interesting this plant is used in Chinese medicine & I think I read it has medicinal qualities for checking cancer? I found an online Herbalism course I'm interested in taking, if I can work it out, so maybe I'll learn if that's true or not. I have so many herbs, it seems like I should learn to do something more with them than point the camera in their "face." This book spanned centuries, referenced so many prominent figures and events in World history & was the ultimate adult treasure hunt. An exhausting treasure hunt ~ one that never seemed to end ~ to be exact. I can already see where a sequel could pick up right where this book left off but I'm not sure I'd have the fortitude to jump back in?? It was extremely well researched, that much is very evident. Maybe the mystery of what was so important about the 'formula' on the chess board & pieces was just a little too mysterious?? It also unveiled itself at such a snails pace, I got impatient with it at times and the pace didn't seem to connect with the urgency of the mission at hand. 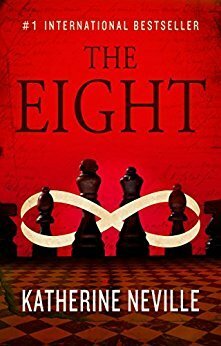 If you like chess, are into mysteries for the ages & aren't afraid of weighty tomes (700+ pages), this may very well be the book for you. The author did an outstanding job weaving together the connections of the characters & how they were all linked to the past. It just takes freaking forever for those revelations tho (like everything else in the book!) BUT if you do endure, and make it to the end, the perseverance will pay off ~ there ARE answers. It was just not an easy read for me, despite the compelling elements, and why that was the case, is just as mysterious as the "game" in the book. ** spoiler alert ** I may never have gotten weaned off fairy tales if I'd started out with the kind I've been reading lately. These Eastern European tales are so lushly layered, I get really wrapped up in them & never want them to end. 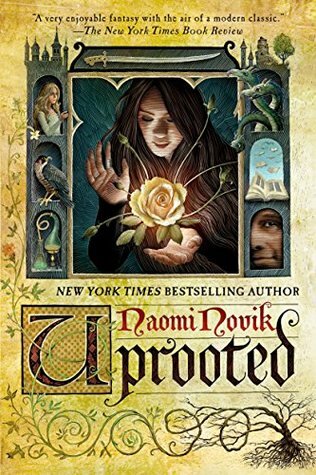 Like 'The Bear & The Nightingale' series I was reading toward the end of May, this story has all the traditional components of a classic fairy tale but with much darker leanings and so many more enthralling characters. I loved the first half of the story, learning about 'The Dragon' & the custom of taking a village girl once per decade. Whisked off to his tower (I kept thinking "lair!!") and a mysterious existence ~ you couldn't help but get intrigued right there! It seemed like it should be frightening but it wasn't & he was actually using the girls for good even tho I'm not sure any of them, other than Agnieszka, figured that out?? 'The Dragon' (Sarkan) & Agnieszka started their relationship off volatile & stayed fairly true to that course throughout the story other than they learned to trust & respect each other & their abilities over time. It wasn't your normal route to "happily ever after" but they wind up in that place regardless. I think I'm happy with that? I mean, the way they interacted, I couldn't see them suddenly becoming "traditionally" mushy together, spouting off "I love you's," vowing to be together till the end of time, etc. It was a refreshingly different twist and more in line with the way the world is populated with so many different types of relationships. So interesting that Agnieszka did not sense her powers before Sarkan selected her tho. Especially upon learning they were extraordinary, different in method and "come to" so early in training. I could have spent a lot of time there in the tower, those first months, reading about the two of them getting acquainted with & surprised by each other. More time than we got in the book. I loved when they entwined their powers & how astonished Sarkan always was with Agnieszka's abilities. Then he felt he "had" to mask those revelations by acting annoyed & irritated! Too funny. They were great characters ~ kudos to the author for making their personalities come to life on the page. Alas, the training ended all too quickly after the stunning & seemingly impossible rescue of Kasia from the Heart tree. That feat along with when Agnieszka & Sarkan figured out how to read 'the Summoning' together was the point where it was crystal clear Agnieszka had been blessed with some really powerful gifts. 'The Wood' scared the bejeezus out of practically everyone but Agnieszka. That was a giant clue too! The time in the Capital was a bit slow for me as was the battle back at the Tower even tho I get the point of both. Once Sarkan and Agnieszka went back into 'The Wood' by themselves tho, I was right back in love with the story. Fascinating to learn what the ominous presence in the Woods really was & how it ~ the 'Wood Queen' ~ came to be that angry. I LOVED, LOVED, LOVED the end ~ when Agnieszka lived in the Woods & worked with the Walkers. That was so perfect in that it was imperfect! I liked that everything wasn't suddenly blissful & wrapped in a bow but rather corruption still existed but peace and cleansing were being worked toward. Very realistic. I think this fairy tale with 'The Wood' and all the violence associated with it, would be way too frightening for little children so keep that in mind when you're reaching for a bedtime story. It's definitely for an older audience. I'm thinking it's possible to have a sequel tho!!?? With King Stashek and his sister all grown up & the 'Wood Queen' reawakened? Do I want that or am I happy leaving well enough alone? Hmmm, not sure but what I do know is that I'm falling back in love with fairy tales!!! Today, yet another baby bird catastrophe at my neighbors. She has a lot of Avian activity over there and not all of it positive, as you may have noticed!! Let me preface todays' catastrophe with what occurred earlier in the summer: A Barn Swallow pair had built a nest in June, up near the ceiling of her side porch. They raised a brood of chicks (mostly successfully) except for one baby who got stuck in the nesting material trying to fledge & died before my neighbor noticed. During the time I helped her rescue the baby 'Says Phoebe's', I also removed the dead baby from that nest. Undeterred by the casualty, the Barn Swallow pair built a second nest on the opposite side of the porch & were busily raising a second brood of babies. Until this morning ~ when the nest fell down, babies & all. That's when my neighbor called me (local bird whisperer!! haha) We debated trying to put the babies back up in the original, first nest but they looked so "developed" we decided to leave them be & hope they would be encouraged by the accident to fledge the nest. By late afternoon, our resident Cooper's Hawk picked off three of them before we could intervene and save them. I only noticed because I was out with my camera (photographing the garden) & heard the parents distress. Above, greed meets reality. He had one baby in each talon before landing on the street ~ because that was just a little too ambitious even for easy pickings. Happy to report the lone living baby is being cared for by his parents & is still in the nest as of today. Obviously they were not ready to fledge. If only we could have a "do-over...."